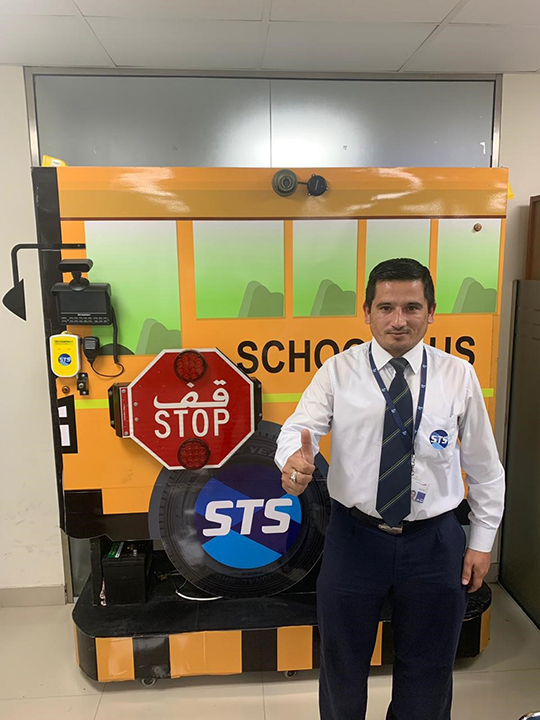 Over 3,500 school bus drivers have taken a pledge to drive safe in Dubai. The drivers – of 15 nationalities, working in 82 Dubai schools – signed and stamped their oath on a safety pledge board at an event held in GEMS Heritage School. The pledge board is nearly the size of a school bus and has been designed in a way that it will serve as a constant reminder to drivers to drive safe. Established in 2008, STS now transports over 81,000 students to and from school each day. 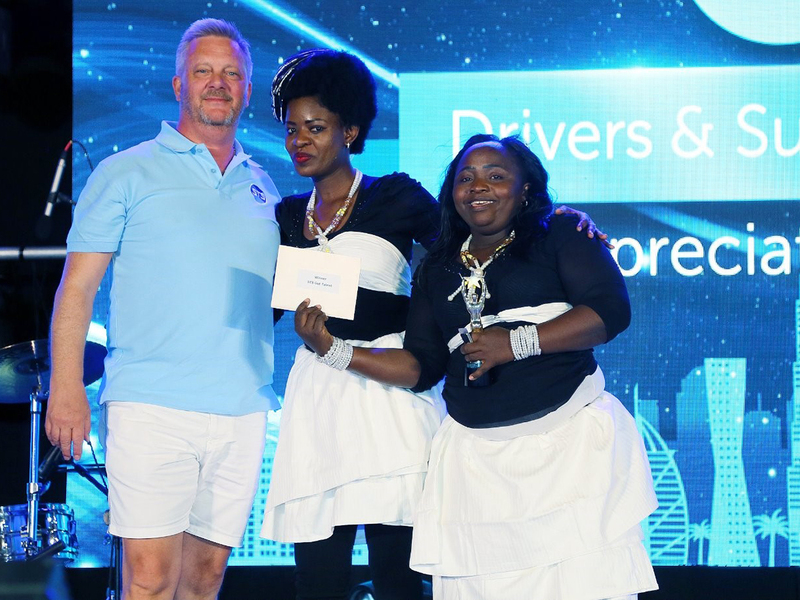 The event marked the eight anniversary of School Transport Services’ (STS) Appreciation Day which saw 1,200 drivers form a human flag to celebrate this year’s Year of Tolerance. 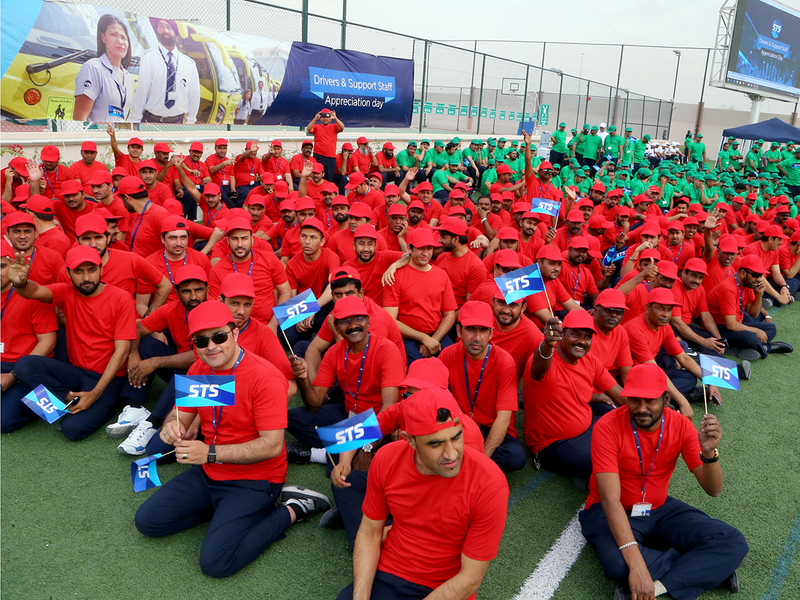 The STS drivers and bus guardians formed a massive human mosaic at the annual event. Brazilian carnival artists were also part of the flag and the first ones to take position in the flag formation. Bus guardians and drivers later joined the gang wearing red, green, black and white t-shirts, to form the flag. 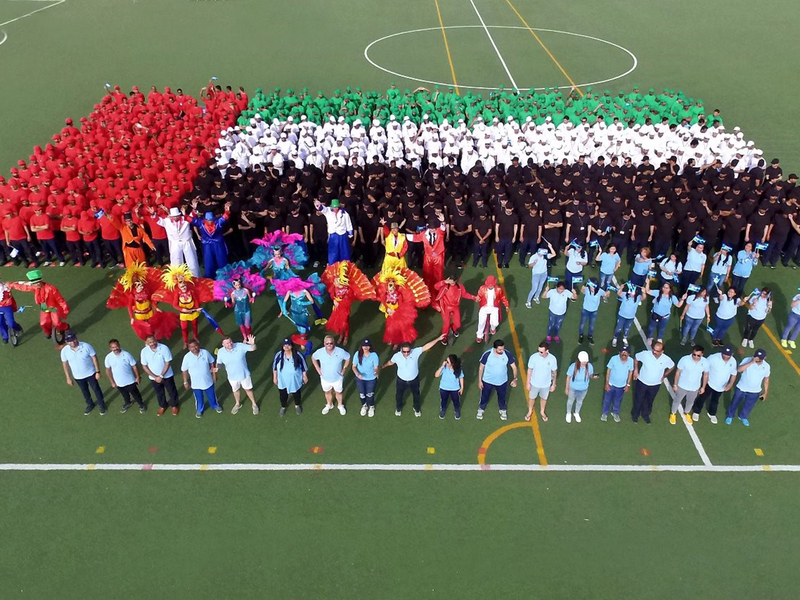 “Our drivers come from a diverse background and the human flag is an example of our appreciation of UAE’s drive for tolerance. 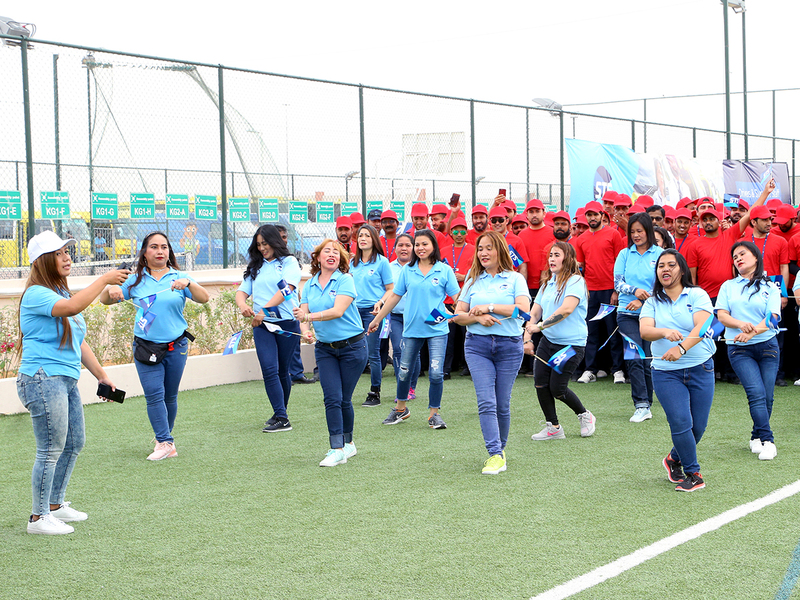 The idea is to work together peacefully and bond with people of various backgrounds and nationalities,” said STS managing director, Steve Burnell. The staff also enjoyed games and music on the day. Some even took part in an ‘STS Got Talent’ to showcase their talents. The winner was awarded Dh3,000. 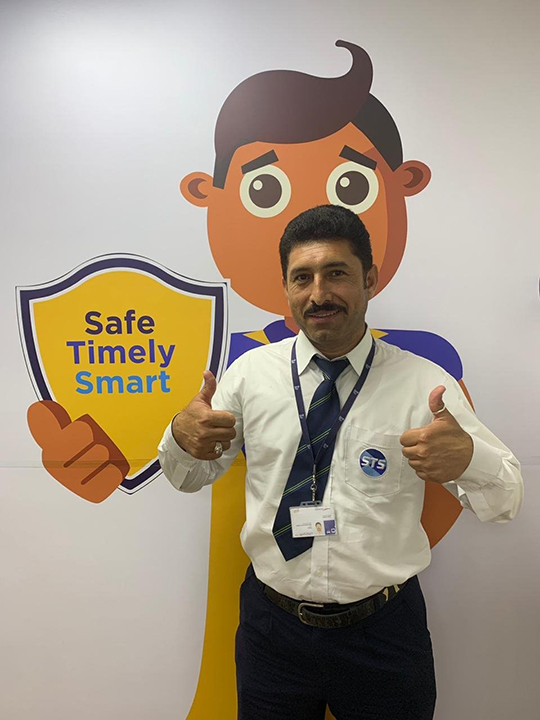 Another driver Sheed Rehman of International academic school said: “I went back to my childhood days being asked to stand in cue for the flag formation. I will always remember this year’s year of tolerance my entire life. Formation of human mosaic was something I have seen before and it was a new experience for me. 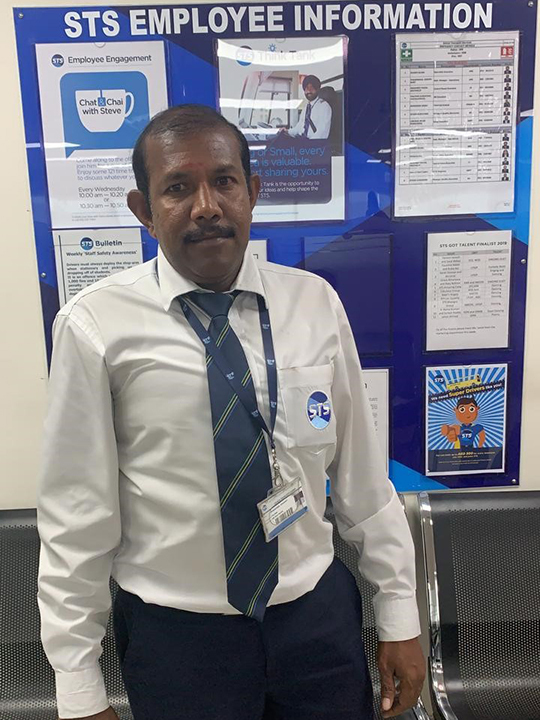 Prabhakaran said regular measures need to be taken to ensure safety of school children in the UAE. "Efforts like signing a pledge board go a long way in instilling responsibility among drivers and bus guardians to stay responsible and fulfilling their primary duty of taking care of school children."